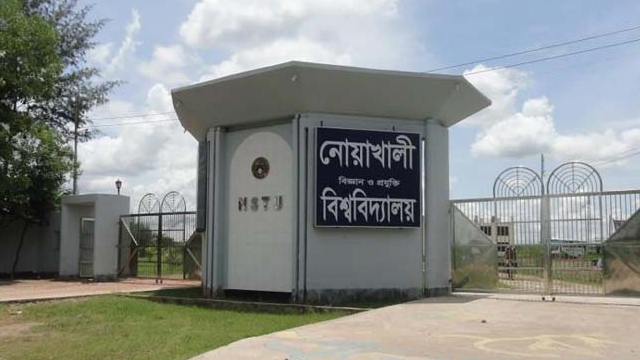 Noakhali Science and Technology University have published its admission circular for the session 2016-17. Admission seekers who passed SSC in 2013 or 2014 and HSC in 2015 or 2016 will be able to apply. The other requirements are stated below. To apply for ‘A’ and ‘B’ unit, students of Science group need to have minimum GPA 6.5 combined in SSC and HSC or their equivalent exams. If anyone has less than GPA 3.5 in SSC and less than GPA 3 in HSC as well as below C grade in any subject in HSC examination, he/she will be considered as ineligible. Students of Business Studies and Humanities require to have minimum GPA 6 to apply for ‘C’ and ‘D’ unit including minimum GPA 3 in SSC and 3 in HSC. To apply for ‘C’ and ‘D’ unit, students of Science group need to have at least GPA 6.5 combined in SSC and HSC exams including minimum GPA 3.5 in SSC and 3 in HSC. Below C grade in any subject will be considered as ineligible. Application for NSTU admission test can only be done through Teletalk mobile. Then in the return SMS, a PIN and the amount of admission fee will be sent to the Teletalk mobile. In the return SMS, a user ID and password will be given which should be preserved with care. 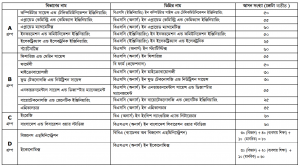 To download Admit Card, candidates need to visit www.nstu.teletalk.com.bd and enter his user ID and password. Then he/she will have to upload a colored photograph (300×300 pixel, max 100kb) and scan copy of signature (300×80 pixel, max 60kb). After the upload is complete, he/she will be able to print his/her admit card. He/she have to print and bring 2 copy of admit card in the examination hall. A Unit: November 11, from 10:30 am to 12 pm. B Unit: November 11, from 3 pm to 4:30 pm. C Unit: November 12, from 10:30 am to 11:30 am. D Unit: November 12, from 3 pm to 4 pm.